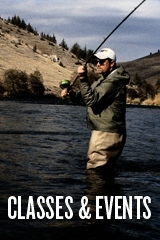 The Caddis Fly Oregon Fly Fishing Blog is the best source for fly fishing information in Oregon. This site is operated by The Caddis Fly, the premier fly shop in The Willamette Valley for 25 years, in partnership with Eugene, Oregon Trout Unlimited volunteers Karl Mueller and Matt Stansberry. 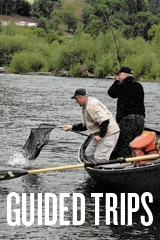 This site offers Oregon fishing reports, conservation news, fly fishing advice, gear reviews and hot fly patterns. 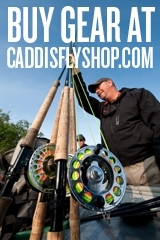 About the shop: In February of 1975 The Caddis Fly Angling Shop opened it’s doors in downtown Eugene. Providing top level fly tackle, service and fishing information has been the shops policy for the past 33 years. In 1996 our formal guide service was established. 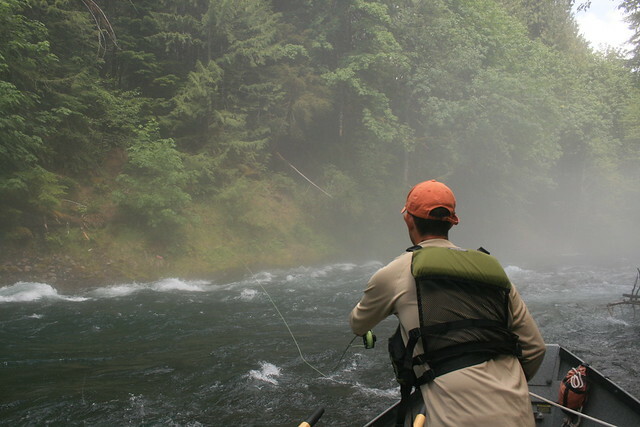 Most of our trips utilize our local rivers the Mckenzie and Willamette. The shop’s location allows for the local fishing day to start between 10-50 minutes away from the shop. The Caddis Fly is within easy distances of many great waters like the North Umpqua, Williamson, Metolius, innumerable Cascade Lakes and the Deschutes River. We pride ourselves on providing accurate fishing information to all. Our local fishing access map is available to purchase at the shop. Fishing information, quality service, top vendors (Sage, Winston, Orvis, Patagonia, Simms, Bauer, Rio and Scientific Anglers) help make The Caddis Fly your link to fly fishing locally and beyond. Our shop employees and guides love what they do, and want your experience in the shop and on the water to be beyond your expectations. Thanks so much for putting a link to my blog on your website! I’m a UO grad — J-school, class of 93 — and I spent a lot of time in the Caddis Fly during those four years. I also spent quite a bit of time on the McKenzie and Willamette rivers…. I stop in when I’m in town for UO football games, and I’ll make sure to introduce myself the next time I visit. And feel free to contact me if you’re ever near Olympia or Hood River. I know some very nice sea-run cutt water in Puget Sound…. Just got off the Rogue with Todd Weck Rogue River Outfitters ,had a great trip! First run of the fall Steele head. Plenty of 1/2 pounders and the occasional 20″ plus real deal. took my Girl friend Jennifer Norris who landed a 22″ on a 5wt 2x .look forward to visting the Caddis Fly on my trip To watch The Utah Utes play the Ducks in a few weeks! Hey guys, you’d be interested in reviewing our monoMASTER on your blog please send me your address and I’ll put one in the mail for you. This is a great site. I love to read about areas I hope to fish one day. I live and fish in Michigan and the PACNW looks great. We too have salmon and steelhead runs out of the Great Lakes. It would be great to compare fishing experiences. Keep up the good posts!!! Hi to all and anybody else who is inclined to read this. Hello from the land down under . I was given some steel head flie by a friend returning from a trip to the USA. One of these I identified (to the best of my ability ) as a Borden Shrimp : it was black with red eyes, may have been made using black rabbit fur strips ?? can any body help with a pattern for this fly. It was very successful on some off our native fresh water fish in Australia. LOOKING FOR CLASS ON FLY FISHING GEARED TOWARD WOMEN SPRING 2010. NO EXPERIENCE. COULD YOU POINT ME IN THE RIGHT DIRECTION? I LIVE NEAR COOS BAY ON THE COAST, BUT WOULD TRAVEL TO NORTH UMPQUA OR MCKENZIE RIVER AREAS. THANK YOU SO MUCH. Check out this gold dredging club article – more pressure on Rogue River spawning? Thanks for the great youtube videos. I am a Great Lakes Steelheader and have decided to learn fly fishing and Skagit casting. The video on building sink tips was very informative. Thanks again. He guys hope all is great, Still working on my new site. If you would like to add your videos send them on!